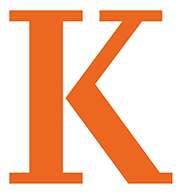 The mission of Kalamazoo College is to prepare its graduates to better understand, live successfully within, and provide enlightened leadership to a richly diverse and increasingly complex world. Members of the Kalamazoo College Community come to teach, study, and work here because the College’s mission and community statements correspond to their values. This community of individuals holds these values in common, despite our diversity. However, we recognize that this community is a fragile balance of cooperation, goodwill, and dependence, ever in need of renewal as new members enter it. The Honor System is a set of mutually held principles freeing us to create an environment of living and learning that will foster understanding, mutual respect, intellectual curiosity, and social commitment. We ask the members of the Kalamazoo College community to pledge themselves to creating and protecting a sense of honor in their lives, and we call upon them to act when they observe actions that are in conflict with these principles. To develop academic and social growth, we commit ourselves to free inquiry, openness to different points of view, and honesty in speech and conduct. In our attitudes and actions, we aim beyond selfishness and parochialism. To enhance our community, we accept responsibility for its social well-being. We commit ourselves to treat with respect those with whom we differ, to recognize the rights held by others, and to attempt to resolve conflicts. Expressions of prejudice are contrary to this mutual respect and prevent the fostering of community. To safeguard the integrity of academic work and research, we accept responsibility for our own scholarly performance. We regard false representation of our scholarly work as unacceptable because it undermines our integrity and that of the community. We commit ourselves to knowing under what conditions scholarly research is to be conducted, the degree of collaboration allowed, and the resources to be consulted. To maintain and improve the condition of our physical environment, we commit ourselves to the respectful and prudent stewardship of our community’s material and natural resources. For particular policies and regulations which define the principles of the Honor System, please see the Student Code of Conduct on the Office of Student Development’s web site.